After back to back blockbusters Mohanlal starrer Pulimurugan and Dileep's Ramaleela, popular Malayalam producer Tomichan Mulakkupadam has announced his upcoming film. But this time, the blockbuster maker is coming up with even bigger film. 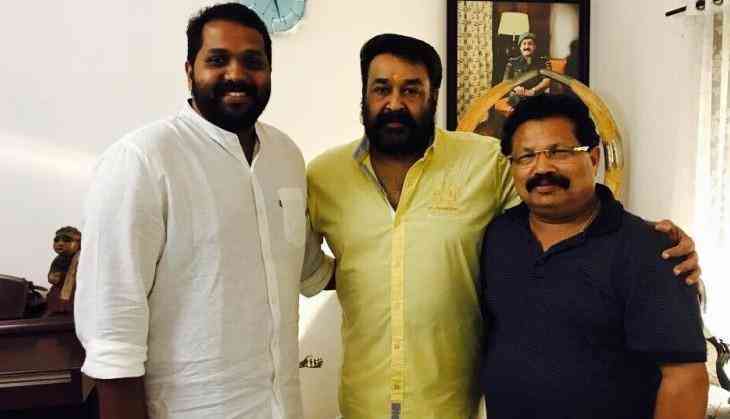 Reportedly, Tomichan Mulakkupadam's upcoming film will star none other than Mohanlal as the lead hero. What's more? The un-titled film will be directed by Arun Gopy. Arun Gopy took to his Facebook page to announce his second collaboration with his Ramaleela maker Tomichan Mulakkupadam. "Taking a step forward, once again holding hands with Mulakuppadam (Tomichaayan) to explore my next venture. Churning out new plots and plans for an interesting narrative to make it special for a born actor, a Star. Humbly seek your prayers and blessings", Arun Gopy stated on his FB page. Though Arun Gopy didn't announce Mohanlal's name as the hero, but it has been confirmed that the 5-time-national award winning actor will once again team up with Tomichan Mulakkupadam, after all-time Malayalam blockbuster and Malayalam film industry's first Rs. 100 crore grosser Pulimurugan. Will Salman Khan's Tiger Zinda Hai get a benefit from the delay in the release of Padmavati?